Aside from the chaos of trying to run a semi-commercial kitchen from home where 4 adults need food as well has been interesting and not always conducive to mealtime creativity, but I am finding some balance between making wholesome, filling food that my omni household will enjoy and food that I want to eat and am okay with the little one having some as well… Quite a feat! What it means I have been doing is making whole-food vegan meals at dinner time and having lots if smoothies during the day. 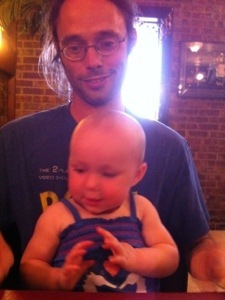 This was dinner one night. 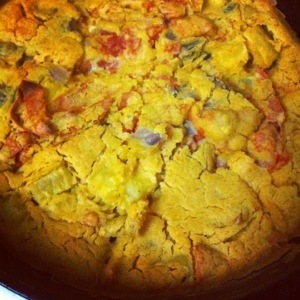 Vegan Spanish Omelette or Tortilla Vegana that I learned to make while living in Spain. Chickpea flour base with lots of Farmer’s Market veg- onion, yellow squash, banana pepper, tomato. We had this with a cucumber, shredded carrot, green onion and homegrown sunflower sprout salad. 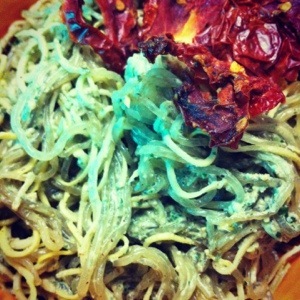 Kelp noodles and yellow squash noodles mixed with raw vegan pesto and crunchy tomato chips. Perfect summer lunch! 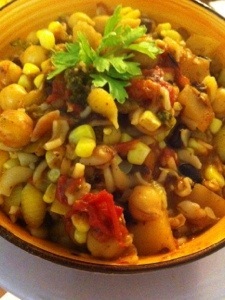 Raw vegan corn chowder. 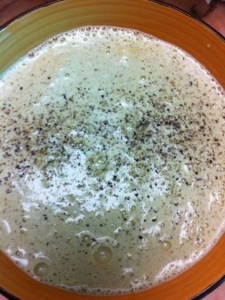 Hemp seeds, coconut water, jalapeño, locally grown corn and lots of black pepper. 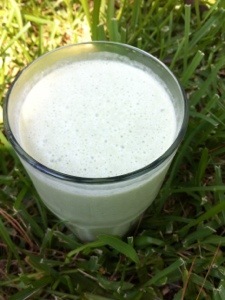 Piña Colada Green Smoothie enjoyed outside on the grass. Enjoying the abundance of ripe peaches. 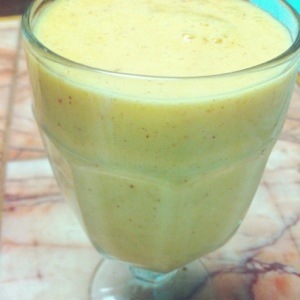 Super simple smoothie- frozen banana, juicy peaches and a pinch of vanilla. 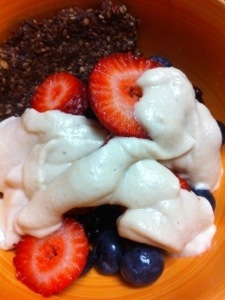 Fresh mixed berries with a cashew creme sauce. This little love eats all the food you see here and more. Girl loves to eat!